The best Helado / Gelato / Ice Cream in Buenos Aires? Out of all the ice cream parlors in Buenos Aires, Un Altra Volta in Recoleta is certainly up there in the cream of the crop. And this is in a city where the ice cream is some of the best in the world, due to the heavy Italian influence here. If the picture above does not convince you, read on for more information on Buenos Aires’ grand ice cream tradition. In related articles reviewing Banchero Pizzeria and Caminito street, both in the ‘Italian’ barrio of La Boca, you can read more in depth history regarding the huge amounts of Italian immigration into Argentina around the turn of the 20th century. Of course, they brought with them Pizza and Pasta, two staples of both the diets of Italy and Buenos Aires, but also Ice Cream, or gelato (the version more common in Italy), the third prong of the proud Italian food triumvirate. It has been dared to say that Un Altra Volta (known by most simply as Volta) boasts better ice cream than anywhere in Italy… though that is a bold statement. At this point, it must be clarified that Volta serves gelato, and there is a slight difference between this Italian concoction and your common ice cream or helado. For the ice cream fanatic, Saltshaker also has an excellent page dedicated to an overview of Ice Cream Parlors in Buenos Aires. Note that the lower fat content in gelato makes it less filling, so you can eat a lot more, and make up for the fact that it is less fattening than regular ice cream. Whatever your choice of flavors, Volta does not disappoint. If you’re looking for a real taste of Buenos Aires, try the extreme sweetness of dulce de leche flavored gelato. Mix in contrasting strong flavor like chocolate amargo (dark chocolate) to balance the flavors. Both of these choices are just heavenly at Un Altra Volta. The ice cream parlor is also a fantastic place to slowly enjoy your gelato, with a very white, futuristic, clean-looking interior that makes you feel like you have been transported into the future where the secret of 100% perfect ice cream has finally been cracked. It is also a great place for a coffee with friends, especially on a nice spring or summer day when you can sit out in the lovely shaded patio at the back. There is always a nice mix of people there, always quite busy, with a chatty atmosphere, typical of the cafes in Recoleta. Plus, the staff are extremely courteous and attentive. And if you don’t feel like ice cream, then a nice alternative is coffee with a few of their finely crafted chocolates, which although they don’t quite reach the heights of the gelato, are certainly very tasty. Tour del Gelato – discovering the world’s best gelato. 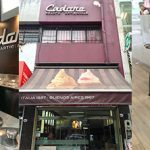 Cadore Gelato Looking for the best dulce de leche in Buenos Aires, and possibly the world? Look no further than this classic ice cream parlor on historic Avenida Corrientes! A must-visit for anyone with a sweet tooth visiting the city. 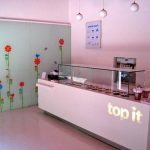 Top It Frozen Yogurt An almost guilt free alternative to the fantastic ice cream / gelato on offer across the rest of Buenos Aires, and perhaps even more refreshing, this Palermo Soho Fro Yo outlet is fast becoming a local favorite. 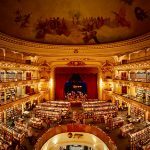 El Ateneo Grand Splendid Bookstore A mecca for any book lover, El Ateneo Grand Splendid is one of the most beautiful bookstores in the world. Housed in an old theatre with rows of tomes and a cafe on the stage, this is a BA must see! 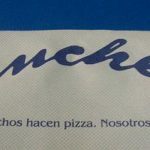 Banchero Pizzeria Get a taste of Buenos Aires' Italian tradition at Banchero Pizzeria - a historic spot for delicious pizza in the Italian immigrant neighborhood of La Boca. The place may be empty, but your stomach won't be. Hi there, i have been reading your blog for a while, but never left a comment, so here it goes.. If you have the chance to trie helado El Piave, do it, i don’t know if it’s really as good as volta but it’s worth a try. In the corner of defensa and san juan in San Telmo you can do it. Bueno ahora en mi lengua, creo que entendes, muy buenos tus posts son muy completos pero nada aburridos. Keep up the good work. I will definitely try El Piave sometime, I have walked past is there in San Telmo quite a few times before and it is on my list of ice cream places to try (along with Chungo and a few others from Saltshaker’s list, linked above). Thanks again for your nice words…I hope you keep reading and that I can keep entertaining you with my posts. I´ve just found this post. Volta definitely makes one of the best, if not the best, ice cream in Buenos Aires. For me, it´s tied with Perssico, you should definitely try it out if you haven´t yet. They have a great white chocolate ice cream, and one called “crema di limone” which is a reconstruction of lemon pie, so you get creamy lemon with bits of meringue and bits of dough… ok, I´ll stop I´m getting hungry. Oh, and both Volta and Perssico have delivery service. Good day. By far, the best gelato/ice cream experience in my life has been with Volta. Can anyone get me the name and or email of the owner of Volta. Sorry David (not sure if both the last comments were the same person? )… this is the type of information I should try to remember to include in my blog posts. Their website is http://www.unaltravolta.com.ar/ and their email is [email protected] – but be warned that the website is one of those annoying flash animated things! would like to publish your gelato photo in a small piece in the LA Times Travel section – we would pay a space rate of $50.00 – would that be OK ?? I’ll send you an email now about it. I love your blog! I studied in Buenos Aires for four weeks and just returned and I think by far, it is the best city in South America and up there with many others in the world. 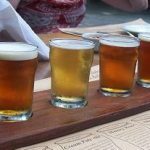 As an obsessive city-ite (I love in the NJ suburbs so not so nice) I basically became an expert on all things BA before, during and after my experience. I think that you know your stuff just as good as I do, but have you been to Persicco for gelato? I lived in Belgrano while I was there and there was a Persicco two subway stops away by Congreso de Tucúman. I know that there are at least five in the city and one out by Pilar. I tried it for myself and found it very good. I tried Volta once but I think Persicco is much better. It is a small chain and I think there are a couple in Palermo. You have probably heard of it as whenever I even started a discussion about Gelato with a BA native, Persicco came out before I finished my sentence. Just for my interest, what barrio do you reside in? And, are you planning on retaining citizenship in Argentina? I wouldn’t mind it!